Steve Ramsey of Woodworking for Mere Mortals is helping to raise donations for the Make-A-Wish Foundation by auctioning off the version of his “Unique Snack Serving Tray” he built on WWMM this week. It looks like a fun little project and is a great excuse to get in the shop and spend some time building a project you know family and friends will enjoy using. 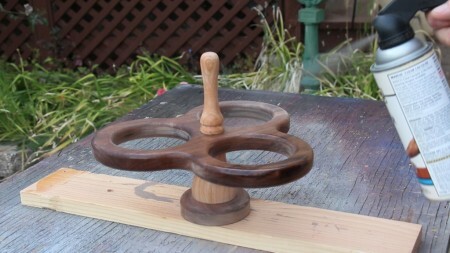 As always, plans are available for it are available at woodworking.formeremortals.net, but if you’re thinking you might need the original to REALLY get a feel for how it goes together you have until May 22nd, 2015 to bid on it at eBay. Of course this also is a great excuse (as if you need one) to help raise funds for the Make-A-Wish Foundation. For more information, visit Woodworking for Mere Mortals by clicking on this link. To go directly to the auction itself click on this link.